At California Custom Fruits and Flavors, we are deeply committed to the safety of the consumers that eat the food ingredients that we produce. In order to insure this goal, we maintain a certified SQF (Safe Quality Foods) program. SQF, which is recognized by the Global Food Safety Initiative, confirms that we are committed to food safety at all levels of the company. It makes certain that we have HACCP (Hazard Analysis and Critical Control Points) and GMP (Good Manufacturing Practices) programs, along with the necessary documentation, a dedicated quality assurance staff, and frequent workforce training. Every raw material supplier that we use must pass a rigorous approval process, which means that they must have their own HACCP and food safety programs. We have audited, and will continue to audit, many of the fruit packers that supply the raw fruit that we utilize. In addition, all of our raw fruit suppliers must maintain a foreign object control program. Non-fruit raw materials are tested for certain physical and chemical parameters and/or must arrive with an appropriate COA (Certificate of Analysis). Included in our SQF program are very robust allergen controls. All allergens are properly identified, stored, and labeled accordingly. Every means possible is taken to insure that there is no co-mingling of allergens in raw material inventories or between finished goods. Regarding foreign object control, as ingredients are being added to processing equipment, and as finished goods are being packaged, various controls are utilized, including screens, magnets, and metal detection. Before shipping, representative samples are collected from every lot number of finished product, and are tested for certain physical and chemical specifications. 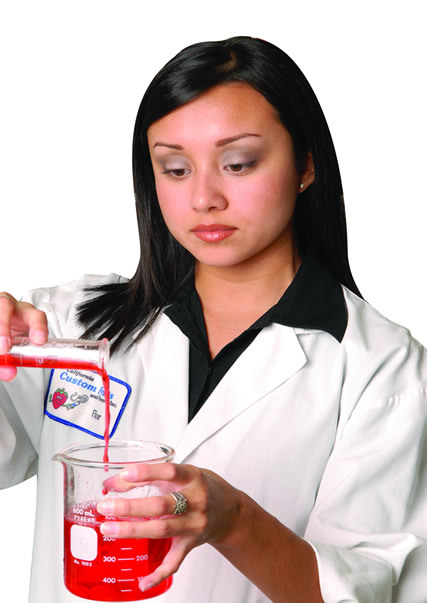 Organoleptic testing is also performed on all lot numbers before shipping. We maintain an onsite microbiological lab and staff for the testing of bacteria, yeast, and mold. This is especially important for yogurt fruit preps, as they are normally added to the yogurt post-pasteurization. Lastly, a trained group of our employees performs an internal food safety self-audit of the entire facility on a monthly basis.